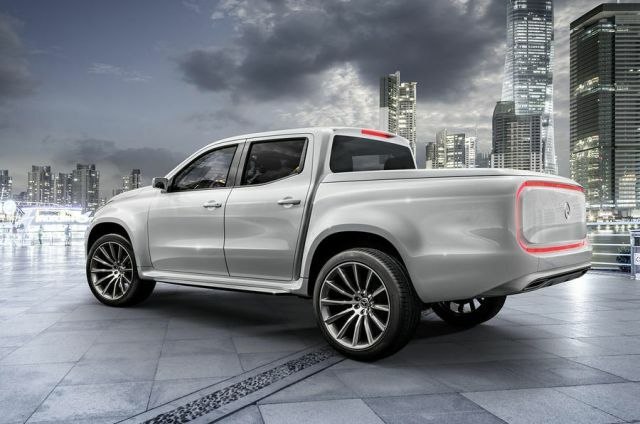 The prototype of the 2018 Mercedes-Benz X-Class, has been caught being tested in German. The new pick-up certainly bears a resemblance to the concepts revealed by Mercedes-Benz last year, suggesting that only minor changes are likely. In terms of the exterior, the truck shares similarities with the Nissan Navara and the Renault Alaskan. 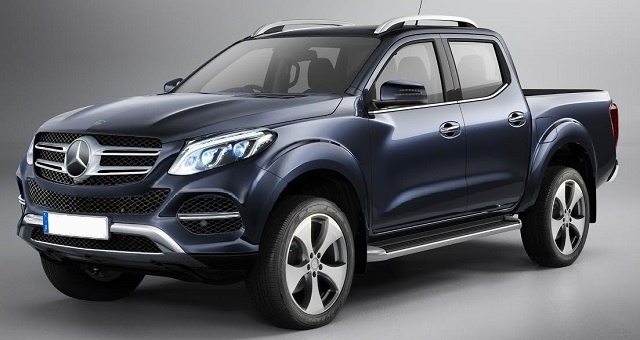 The X-Class is based on the same hard-headed, practical approach we have seen underpinning the other trucks. The nose of the 2018 Mercedes-Benz X-Class features a huge radiator grille, lending the truck a domineering presence. The gigantic wheels flared, wheel arches and raised suspension are dramatic and assertive. Its bulky body-on-frame construction will allow the driver to lug heavy loads and embark on off-road excursions. The interior of the 2018 Mercedes-Benz X Class is stylish and classic, with carbon, metal surfaces and leather upholstery. With a free-standing tablet display at the center of the dash, this truck encapsulates a classic Mercedes-Benz style while still remaining modern cutting-edge. Insiders at the Mercedes have suggested that the materials and tech for the high-specification models will mimic the Mercedes-Benz passenger car range. 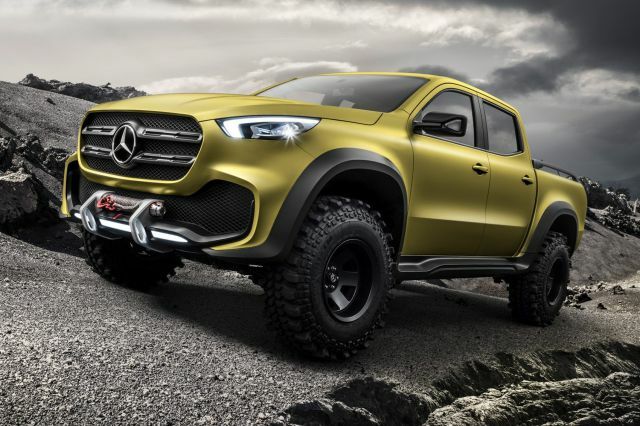 The 2018 Mercedes-Benz X Class will use a 4MATIC permanent four-wheel drive system; an alternative system, allowing the driver to switch between all-wheel-drive and rear-wheel-drive will be also available. The engine will come with a V6 turbo diesel, promises a smooth comfortable ride but still packs a lot of punch. 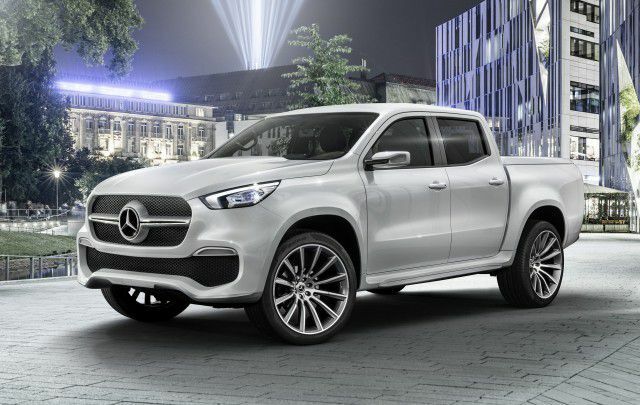 So, the X-Class will be a versatile, tough truck with a high performance. This 2018 Mercedes-Benz X-Class is a combination of a utility vehicle and a reliable, working man’s truck. 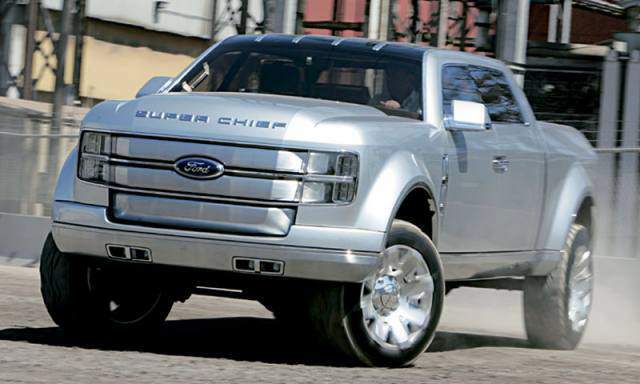 The manufacturer is said to be launching this pickup in Europe later this year. 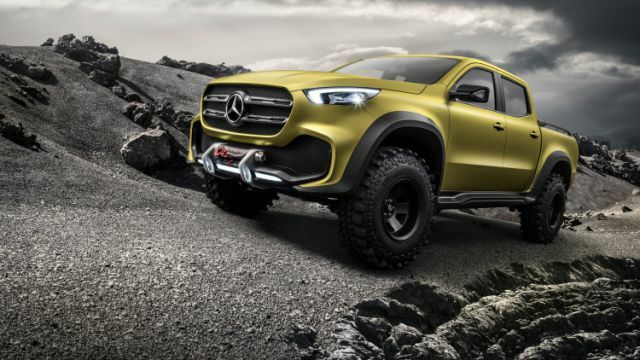 Could we be lucky enough to see the 2018 Mercedes-Benz X-Class in the US later? Insiders say they’re weighing up the possibilities. Eager customers have been placing $1,000 deposits on the truck, but this mid-size pickup hasn’t been tagged with an official MSRP price yet.